If John Pemberton was never in the American Civil War, he would never have become addicted to morphine and we wouldn't have Coca-Cola. Wikimedia CommonsJohn Pemberton, the man who invented Coca-Cola. John Pemberton was born in Georgia on July 8, 1831. He went to the Reform Medical College of Georgia and in 1850 received his pharmaceutical license. In 1853, he married Ann Eliza Clifford Lewis and the two had a son together. When the American Civil War broke out, Pemberton fought for the Georgia State Guard, which was part of the Confederate Army. After he was wounded during the Battle of Columbus, he started taking morphine for the pain and soon became addicted. Wanting to alleviate himself from his addiction, Pemberton began experimenting with coca, the plant from which cocaine was eventually derived. He tried several combinations using different ingredients. Eventually, Pemberton mixed the coca extract with kola nuts, creating what would become the syrup for Coca-Cola. When he tasted this new recipe, Pemberton was convinced it was going to be big. He filled a jug with the syrup and carried it down the street to the pharmacy to be sampled. People agreed the concoction was excellent. Pemberton mixed the syrup with carbonated water and then worked with Willis E. Venable, a drugstore owner, to help him perfect and test the recipe. At first, it was marketed as a “brain tonic” with medicinal value. But when it hit the market at five cents a glass, it was sold purely as a soda fountain drink. An advertising marketer named Frank Mason Robinson came up with the alliterative name which combined the two main ingredients for the product. Thus, the Coca-Cola Company was founded. As successful as Pemberton was in his invention of Coca-Cola, it didn’t do what he had aimed to do. Since he couldn’t kick his morphine habit, his addiction remained. Sadly, because his addiction was expensive, he found himself nearly bankrupt. In order to provide for his family (and to fuel his morphine addiction), Pemberton began selling the rights to his formula and pieces of his company. John Pemberton still believed that his creation was going to be a national drink in the future and maintained some ownership of it, hoping to pass it down to his son, Charley Pemberton. Pemberton maintained that while other companies could use the formula, Charley had ownership of the Coca-Cola name. However, Charley was more interested in getting money quickly. So in 1888, just before his death, John and Charley Pemberton sold what was left of the patent to the business tycoon Asa Candler. In August of 1888, John Pemberton, who had been ill for several years by that point, died from stomach cancer. At the time of his death, he was allegedly penniless and still addicted to morphine. According to Mark Pendergrast, who wrote the book For God, Country, and Coca-Cola: The Definitive History of the Great American Soft Drink and the Company that Makes It, Charley Pemberton suffered from substance abuse as well. He was prone to alcohol and allegedly was an avid opium user. He died six years after his father. Meanwhile, under the guidance of Asa Candler, the Coca-Cola Company transformed into the Coca-Cola Corporation. It went on to become the world’s leading manufacturer and retailer of soft drinks. 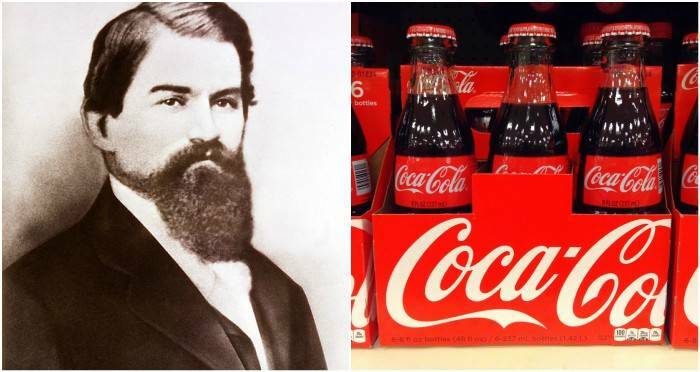 Enjoy this look at John Pemberton, the man who invented coca-cola? You may want to read more about the secret history of Coca-Cola next. Then, read about these dangerous and illegal drugs that doctors once prescribed as miracle cures.